Are you put off from homeownership by the ever increasing real estate prices in Canada these days? 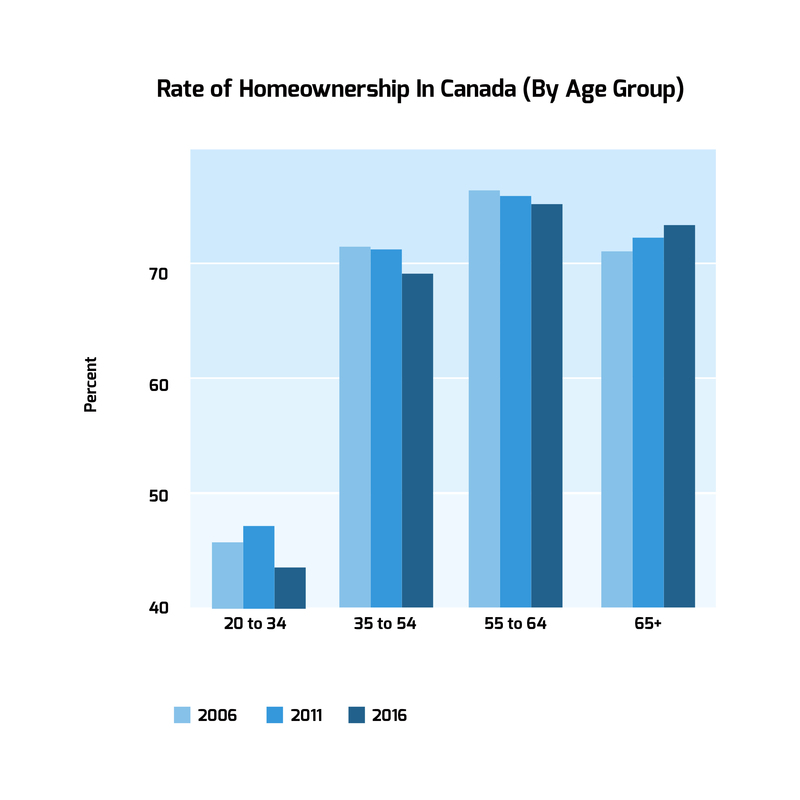 Statistics Canada have released the latest census for 2016 and it clearly shows that homeownership rates are declining. The rate of homeownership in Canada is now lower than it has been for the past ten years and it is the Millennials that are suffering the most. If you are looking for one of the fastest growing cities in Canada, then Edmonton is the city that should definitely be on your radar. Reports from the city show that Edmonton is becoming one of the fastest growing cities in Canada the best thing about all of this is that this growth is not expected to slow down anytime soon. According to the information in the 2017 Annual Growth Monitoring report, Edmonton is facing some challenges with this rapid expansion. Before we move on here is a quick definition of what the Annual growth report is. The 2017 Annual Growth Report is a report that gives an overview of different information such as the growth, demographics and various developments which are happening in a particular area. When looking for a place to live there are many things you must consider. Things like the commute and the different amenities available. Are you thinking about moving to Edmonton and need to find the right neighbourhood? Well, this post should give you some direction to help you find the right place for you and your family. In this post, we’ll take a look at Edmonton’s Top 5 Neighborhoods. After reading this post, you should know more about the top areas in Edmonton and find one that suits your needs. The urban environment is constantly changing and this affects the lifestyle of all residents of Edmonton. 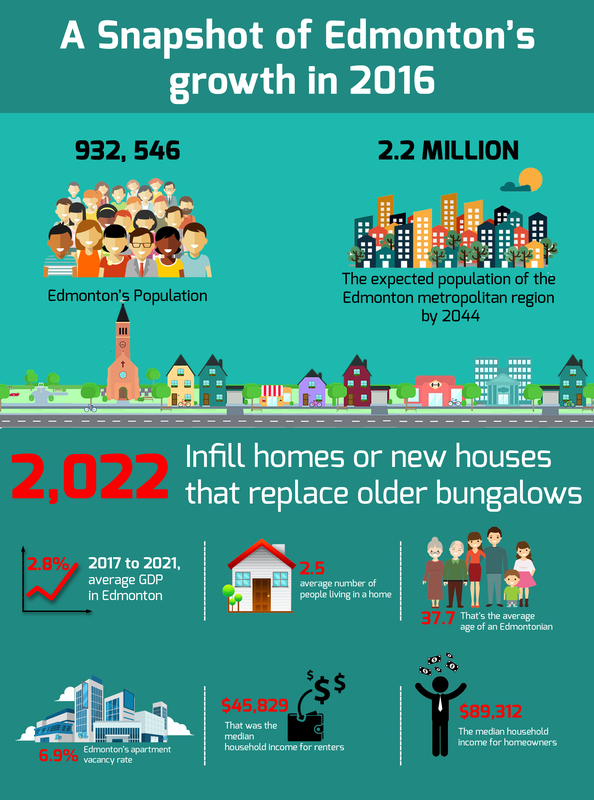 One of the major projects undertaken by the City is the Edmonton infill which has been in effect since 2010 and has achieved considerable progress to date. Here you will learn the most important things about it and how the city and the owners and buyers of Edmonton homes will benefit from it. Consisting of peace officers, development officers and safety codes inspectors, Edmonton’s infill police have been operating since July 2016. Until the beginning of November, they have inspected over 300 properties under construction. Their job is to ensure that builders maintain their construction sites clean, tidy and fenced. To date, they have issued more than 100 fines and nearly 400 warnings. The police discovered 61 infill properties without a development permit or in violation of the issued permit. The builders responsible will have to modify the homes or halt their activity and obtain a new permit. 1. Strathcona - This neighborhood offers a wide variety of style and class due to the many independent, locally owned stores running up and down Whyte Avenue. 2. Glenora - The scenic touch comes from the Saskatchewan River valley. The river is just one of the natural scenes; it is also accompanied by the McKinnon Ravine. 3. Ritchie - The residents enjoys good access to the nightlife of nearby Whyte Avenue and the Mill Creek Ravine entertainment district. 4. Westmount - This neighborhood has been going through a revitilization period with some home owners building new construction or rehabilitating their current home. 5. Oliver - This central community offers shopping centers, lofts, and apartments from old converted warehouses. It has a cutting edge feel. 1. Strathcona - Located in the South-Central area of Edmonton, Alberta, Canada is a lively neighborhood called Strathcona. The University of Alberta is conveniently located directly to the West of Strathcona. The ever popular Whyte Avenue is the center point for this area bringing life, culture and excitement to the community. 2. Glenora - Glenora is a great residential neighborhood in west Edmonton. Besides, its prime status of a neighborhood, it also has a scenic touch. The scenic touch comes from the Saskatchewan River valley. The river is just one of the natural scenes; it is also accompanied by the McKinnon Ravine. However, the natural charm of this residential area of Edmonton, Glenora offers many other features. Buying a home is never easy, and there are always lots of different factors to consider. If you have children, you’ll quickly find that a school district can be a deciding factor in whether or not a home is a good fit for you. Edmonton School District No. 7 is Edmonton’s largest public school district, while Edmonton Catholic School District No. 7 offers a variety of Catholic schools to choose from. 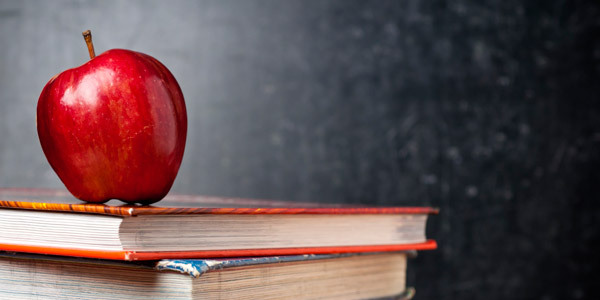 When buying your home, you’ll want to carefully evaluate the school district around it in order to ensure it’s a good fit for your family. Here are just a few of the factors you’ll need to consider. Spring is doing it’s best to push through in Edmonton. The temperatures are back to normal spring weather and today the sun is shining in a clear blue sky. It just feels like spring out there doesn’t it? 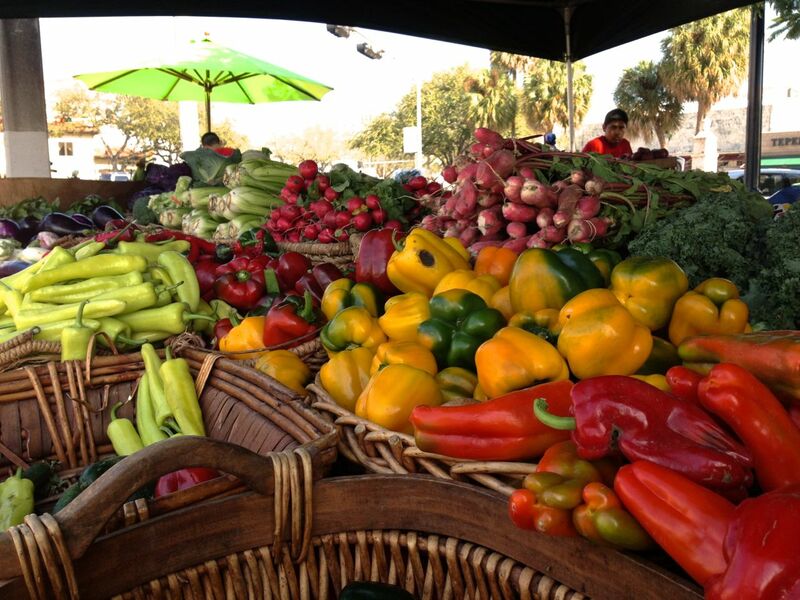 It’s still a bit early to plant the garden, but that shouldn’t stop you from enjoying fresh local produce. Do you often wonder what there is to do in Edmonton in winter? The easy answer is PLENTY! Edmonton has a full slate of activities taking place throughout the winter months. Everything winter sport is available in this city. All you need to do is bundle up in your warmest winter clothes and head out the door. Here’s a list of some of our favorites. I’m sure you’ll find something in this mix to help get you outdoors this winter. Be brave and adventurous; try something that you’ve never done before! Fill this winter with memorable experiences your whole family will cherish. If you ever hear anyone lamenting that there is nothing to do in the Edmonton in the winter, hand them this list and ask them to pick. There are many things to do and see in this city in the winter. From Art Galleries to Fantasy Land, if you run out of ideas, start from the beginning again. Living in a northern climate where the winters are long and cold, it’s best to learn to celebrate the season. The City of Edmonton is much farther north than Montreal, but certainly does not take second place to any city when it comes to winter festivals. If you think there isn’t anything fun to do in Edmonton in the winter, you’re in for a huge surprise. All that’s required is that you have the willingness to pull on some warm clothing and head outdoors. The weather is not dreadful; it’s delightful once you get out with your family and friends to enjoy the festivities. Living in the middle of the city is great for young professionals and newlyweds, but when it’s time to start a family it may also be time to start looking for a bigger home in one of Edmonton’s nicer neighbourhoods. 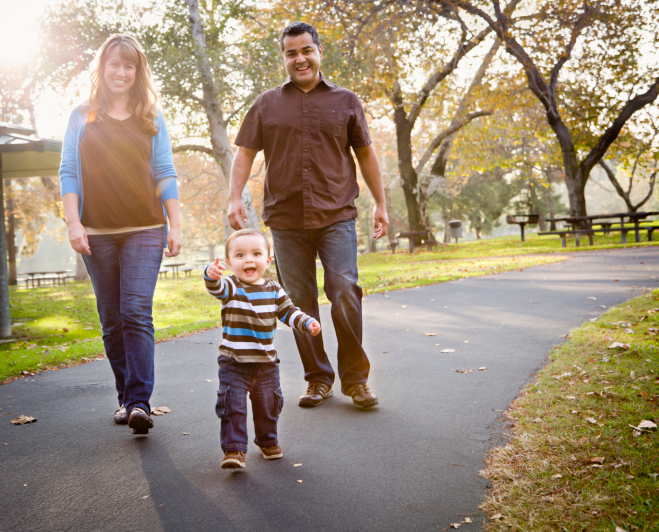 There are plenty of family-friendly communities in Edmonton and each one has its own benefits. It may take some time, but it’s just a matter of searching before finding the perfect place to raise a family. The city of Edmonton has bylaws and regulations in place regarding how property owners can use land in the region. These areas include those specifically zoned for commercial or residential properties. Start by looking at the residential zones, which cover areas restricted to homes and residential properties. RF1 is a zone restricted to single detached properties, which means that the only homes allowed in this area are single family residences. RF2 is a low density infill zone that allows duplexes and other multiple family dwellings, but most of the zone features single family homes. RF3 is a low density redevelopment zone, which means buildings must contain four or less units. The area also houses a handful of row houses and properties designed for individuals and small families. You know you have something going for you if you can entice the Irish away from those 40 shades of green. Or convince the British that it’s ok if you’ve never ridden a horse before, come to Alberta and see the biggest rodeo show on Earth. While you’re at it, there’s a whole lot of interesting money making opportunities in the province, why not stay a while? And that old proverb about “East is east, west is west, never shall the two meet” has also met its match in the Alberta oil sands. In all these cases, it’s go west and you shall find jobs a plenty. This is not a myth. Take for example a Calgary based electrician that has roughly 200 workers employed. Of those, 70 originated in Ireland or England. The boss himself is a transplant from Manchester, England. It’s not that he hasn’t tried to hire local but advertizing in Canadian papers just doesn’t bring the needed response. The lack of ready, qualified people is costing money by forcing that firm to turn down work. Build a comfortable home on a lot only 25 feet wide? Surely you jest. But for members of the Infill Development in Edmonton Association, or IDEA, this is the new reality. The newly minted group, launched this past Thursday has 50 founding members. This is a private launch, with a public outing scheduled for the fall. The group was formed after City Hall announced its intention to increase infill development throughout the city. Currently it’s at roughly 19 percent. City fathers want to see that grow to at least 25 percent. The changing of the zoning laws is getting a considerable amount of pushback, largely because the infill process is misunderstood.